It may be four weeks late, but the anticipation is growing as Saturday’s King George VI Chase draws ever closer. Kauto Star is attempting to win his fifth consecutive King George and is a best price 5/6 with Ladbrokes to pull off a feat that has never been achieved by any other National Hunt horse. And it isn’t just the history books Kauto Star will be facing as 10 rivals attempt to dethrone the two-time Cheltenham Gold Cup winner, and Sam Waley-Cohen believes his mount has the best chance of the lot. Long Run has been tipped for a strong season this year and while he was a beaten favourite in November’s Paddy Power Gold Cup, the 16/1 ante post chance for the Cheltenham Gold Cup has two class one wins to his name from four starts over fences. That includes a win in the Feltham Novices’ Chase in the 2009 Kempton Winter Festival and Waley-Cohen believes Kempton is the perfect track for Long Run to showcase his ability. “A race like the King George is very much set up for a horse that runs like Long Run because they’re going half a stride quicker and you have to get into a good galloping rhythm,” said Waley-Cohen. Long Run is 6/1 to win the King George on Saturday and Waley-Cohen conceded that Kauto Star is very much the horse to beat, but also admitted that the signs at the stable are good. The King George betting market believes Long Run is the most likely to pass Kauto Star should Kauto Star’s record come to an end, with Nacarat and Riverside Theatre the next best in the betting priced at 10/1 to win. 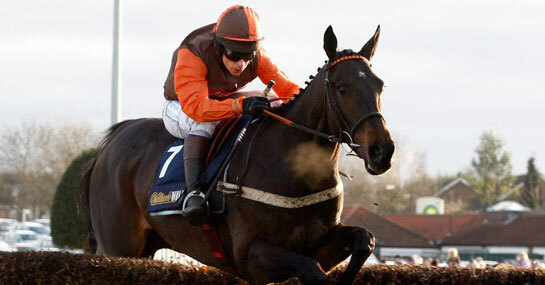 A £10 stake on Albertas Run winning the King George VI Chase would return £260. New customers can sign up here for a free £10 bet.